The future of mankind is dark, desolate and generally pretty frightening. At least, that is what dystopian fiction like The Giver and The Maze Runner would have us believe. Dystopian fiction pictures a future world where many of our current problems are escalated to extreme proportions.These fictitious works are set sometime in the future after we have continued down our current path of destruction and the end result is a world overrun by violence, greed and sometimes even a creepy monster or two. There is an overarching presence of oppression by some sort of political force in all these works of fiction, and it is when citizens of these dystopias realize the system they live in isn’t the one they want to live in, that the story typically begins. Ever wonder if your microwave has feelings? What if it felt imposed upon every time you nuked a burrito inside of it? What if the microwave started conspiring with the rest of your kitchen appliances? Would there be any hope left for any of us? Are you also craving a burrito now? The point that I’m laboring towards here is that machines are becoming pretty sophisticated — so sophisticated that it’s slightly worrisome. 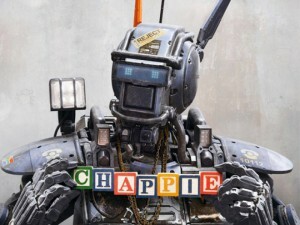 There are a number of films slated for release this year that tackle this very issue issue: Chappie, Ex Machina, and the latest installment of the The Avengers franchise. And while there is much chatter about this year as a “good year for robots,” the truth is that robot movies have been around for about as long as robots themselves…or movies, for that matter. One could perhaps make the case that our aversions toward technology are, in essence, the very basis of science-fiction itself. And there are a lot of ways that the newer films will likely echo thematic elements of classic science-fiction films.